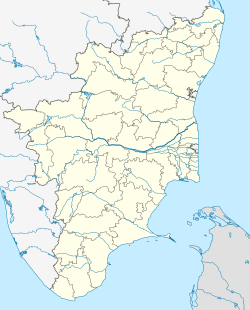 Mandaikadu is a panchayat town in Kanniyakumari district in the Indian state of Tamil Nadu. Historical places:-Mandaikadu Bhagavathi Temple is a major pilgrim center in Mandaikkadu. It is dedicated to Goddess Parvati also known as Bhagavathi. It is located near Colachel in the western coast of Kanyakumari district in Tamil Nadu. This is one among the most renowned and important Hindu temples in the district. The Kodai festival at Mandaicadu is a major celebration which is celebrated in March every year. Pilgrims from southern parts of Tamil Nadu and Kerala take part in the celebration. It was believed that the 15 feet anthill was a form of goddess Parvati. Gradually, the temple became religiously significant to devotees and remains so today. The temple houses holy trees of Bo and Neem. A puja is performed every day at the temple, four times. Women for whom the temple is called ‘sabrimala’ especially flock to the temple with their ‘Irumudi’ (a bundle that contains puja items). Kodai festival is a great celebration at the temple. This festival is celebrated for 10 day. It is one of the Greatest and Famous Festival in Kanyakumari District. This Tamil Nadu related article is a stub. You can help Wikipedia by expanding it. This page was last edited on 16 August 2018, at 21:42 (UTC).